Litewallet users: update to the new version at https://forum.thesupernet.org/index.php?topic=545.0. The Litewallet offers the most user friendly SuperNET experience and includes the MGW multiwallet. 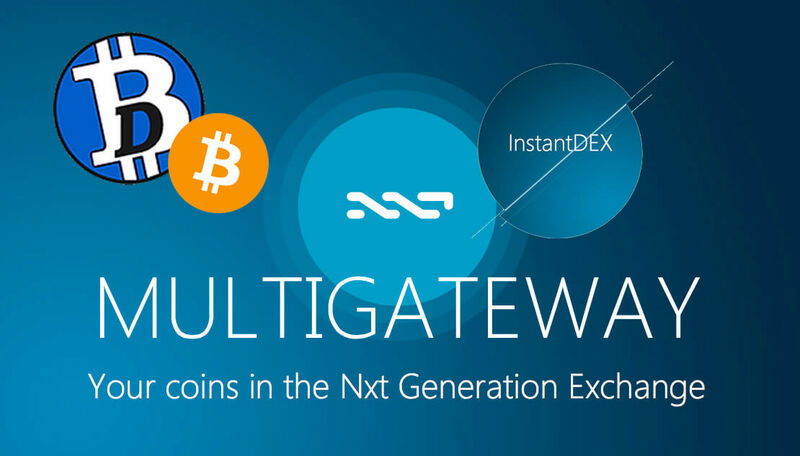 You can use SuperNET as a plugin to the Nxt NRS (the standard Nxt client, rather than the dedicated SuperNET release): https://nxtforum.org/lite-multigateway-releases/supernet-nrs-plugin-v1-0/. Extract and save the plugin component to your NRS client, and simply use SuperNET as a Nxt plugin. Agents is James’ dev-friendly plugins system. It offers an easy way of creating new features. James writes, ‘I released Lchains MGW, so far not so many bugs at all, and I got the InstantDEX ported into new structure in 2 days. That includes making cgi, which I never did before. Need to debug it, won’t take long. Then we can get a GUI + core to test on unix. When Windows has SuperNET, then we can make a one click installer. My work is almost done. ‘With agents, especially supporting many languages, I just need to be advising other coders, instead of having to do it all myself. It is like completing the operating system, but there are not so many applications yet. That is why I am making reference applications like MGW, InstantDEX, etc. If you want to join development, join SuperNET Slack channel #agents. SuperNET will be issuing SuperNET Dev assets / “carreer assets”. The dev will own 90% of this, SuperNET 5% and 5% is dividended out. 100% of a devs earnings from SuperNET is pushed through this asset, so investors can for the first time directly invest in the future earnings of a specific dev. Also, each dev will have a high priced sell wall, so people that want to donate can just pay the above market price. James writes, ‘Last year I had this idea for artists/athletes, but they are entangled in real world contracts and agents, and therefore problematic, also making sure that they honor the dividend commitment is even more problematic and would require real world contracts. But the basic idea is sound, ie allow a talented professional to capitalize their future revenues. This allows such a talent to avoid the “starving student” years by selling off part of their future earnings. It also allows investors for the first time (!) to invest in a specific dev, instead of the projects a dev is involved in. Granted, these assets can only assure investors that revenues from SuperNET are paid out, but since it is based on trust in a specific dev, the asset is directly related to the trustworthiness of the dev and his/her future potential’. BTCDdev and longzai assets have been sent to SN holders as SuperNET Slack reached 777 users. James now uses Lchains to make deposits to MGW. Integrating Lchains makes it significantly faster: ‘Tx 14981284329551545928 is the first automated Lchain MGW deposit. I still need to get the stats reporting fully debugged, but withdraw is the next (and last) thing needed to be done for MGW to be ready for larger scale testing. Latest really really fast ramchain has regenerated 300K BTC blocks in 10 hours. Since it used to take more than 10 days, this is quite a speed boost and also enables debugging at a much faster cycle. ‘I added the ledgerchain code to the (literally) 7th iteration of the ramchain generation. It still will take some minutes to restart from scratch, but if that becomes an issue I already figured out an instant start solution. The JSON cannot have any syntax errors and it needs to be a valid btcd address. The message cannot be encrypted. The above is the proper syntax to query the MGW servers via the relays. ‘MGW [Nxt asset ID 10524562908394749924] has a valuation that is 10% of InstantDEX, actually a bit less due to server costs. I added a bit of withdraw fee (0.05%) and nobody complained, so maybe it can cover server costs from there’. James writes, ‘I predict I will reach code complete (meaning only bug fixes left to do) for my portion of InstantDEX on / – what day is today? – / – [tuesday] – / – cool. I think I am at code complete’. ‘The first version will be limited to a few thousand nodes. There are other components too; still a wider scale beta test is hopefully possible soon as the MGW servers are being configured, windows actually got past init and recv packets and the GUI is looking good. Quite a few parts to put all together and we will need as many testers as possible’. ‘The advantage to testing early is that you will be able to take advantage of the arbitrages that InstantDEX will find automatically for you. I still have improvements in the core I want to do, but I think I can do this as the rest is being finished. I don’t like the long time it takes to regenerate orderbooks, but from the Lchains work I have a way to realtime update NXT tx so it takes no time. Btcddev will be writing a set of C-based agents. The decentralized relays will act as a clearinghouse of all available bets, results, etc. By using the agents method, the problem is divided into several pieces, each becoming a single purpose agent. ‘There will be a generic cashier agent available to all the other SuperNET agents, so the process of payments is abstracted. At first it will need to be for the same currency in matched amounts, but later I will allow matching X amount of this currency for Y amount of that currency. Of course if the market moves, the value changes, but this is part of the fun. ‘The handling of monies can of course be monetized using the golden rule. Just a percentage of bets to be kept, and the privatebet itself is not needing a bankroll. James has donated a significant proportion of his new Crypto777 asset (id: 13476425053110940554) to SuperNET. 7.5% / 7.5% / 5% has been donated to SuperNET / NXTventure / JLH, and 24%+ has been sent into the SuperHODL account. James writes, ‘Yes, I did just put in nearly half of crypto777. It is now the fourth core asset and I didn’t want there to be any resistance for its usage within SuperNET. What is good for crypto777 is good for SuperNET. The crypto777 donated to SuperNET has added around 30 NXT to UNITY’s NAV’. Crypto777 is a pipeline asset, and the dividend won’t be made for some time. ‘Current AE orderbook sells need to be cleared and the tech needs to be in beta release or very close’, James writes. How is crypto777 going to be monetized? ‘There are several ways it can be monetized. It is not officially out yet, I just had a bit of spare time so wanted to get it all in place. It will take some time to get ramped up for the selling of services. It is not a short term thing. ‘The backed and pegged system aims to make a blockchain-enforced mechanism to allow people to get interest on their crypto holdings and there will also be a bid/ask spread built into the blockchain, so these are two sources of monetization. ‘With the new SuperNET agents system, I am seeing how many parts can be done in a nice and simple way and reducing the scope of the remaining issues, but this is not an easy problem to solve, as a fully decentralized fiat peg is kind of hard to do. Consensus Research (andruiman and kushti, https://nxtforum.org/consensus-research/) is helping from the theoretical and math side and will even be doing a white paper, which everybody seems to like so much. ‘I am seeing literally dozens of companies getting millions of dollars, and the tech they are needing doesn’t seem to be very much advanced. So, I think with the crypto777 agents system, it would be possible to create customized solutions for corporates, especially the ones with tons of VC money and not enough devs. ‘I need somebody to take the lead for developing this service. We can offer fixed price contracts (for projects with very high confidence levels) so there won’t be any budget risk. I think contracts in the $50,000 to $100,000 range are possible. Such contracts at first would need to be done by myself, so clearly can’t get this sold in the near term – then again, maybe if we had budgets like that, we can hire coders to work under my guidance. Net profits would be going out as dividends. So if you have experience with technical sales to corporates, contact me. James writes, ‘I can offer a discount of 1% off of marketprice per BTC, up to a max of 20% off. I accept BTC, NXT, maybe even other things’. ‘Short term I think NXTcoinsco/Tradebots will be pretty good, medium term NXTprivacy or Privatebet, and longer term crypto777. Maybe allocating among these would be a good balance of risk/reward. I can make a single bundle for you at the standard discount. Jay NRS now supports Multigateway 1.0 with mgwBTC. Jones is creating a Chrome extension for the next version of Jay. ‘With jay v.2 as a browser plugin, it will allow transactions to be made by clicking on the TX_ codes generated, so making trades quickly will be possible in a web application setting. Working as fast as I can :)’. Card loading will cost 1% + $3. ‘The purchase price will be lower than for the old card. analytics, statistics and signaling (see landing page). ‘A clever mind will recognize quickly how to utilize, dense and pipe all this stuff here into something meaningful, to shift probabilities into desired direction. The reference client later will make things much easier then. Now it’s only useful for some devs. Valarmg writes, ‘The first 90% of software development takes 90% of the time. The last 10% takes the other 90% of the time, according to the main dev. So it feels like we are close to the first playmoney release, but there are lots of small parts to finish off. A new FreeMarket version 1.4 now available. Knuckle writes: ‘This is our best version yet. There are a couple of new features to make FreeMarket easier to use: New, separate views for sellers (View Your Active Items, View Your Sold Items, View Your Expired Items, and View Your Pending Sales). We have revamped the Relist feature so that it will only relist the quantity of an expired item that didn’t sell; for example, if you listed 10 of an item, sold 3, and then the item expired with 7 unsold, Relist will put 7 of the item up for sale again.’ Trade at http://nxtfreemarket.com. Bitstar will promote and utilise SuperNET on ATMs. t3cltd writes, ‘Connecting the ATMs to InstantDEX is the ultimate goal. We are waiting on a number of things, not least of which for InstantDEX to be fully tested and operational in order to then be able to set the ATM real-time trade orders to automatically be handled by InstantDEX. I’m hoping to not have to set them on a centralised exchange process at all. We’re in one of those situations that could see it all happen in double-quick time once we reach a certain point, or it could remain bogged down in inching forward as elements are put in place. InstantDEX is a critical part of everything both SuperNET is doing and the ATM side of things. It is critical that it be given the attention it needs to test fully and prove itself as the first decentralised trading platform in the industry. Any revenue that SuperNET earns from the ATMs will come from the transaction fee generated through InstantDEX. BitcoinDark has started a new feature in recent weeks: dividend payments to stakers. This was always a plan for BTCD, with stakers receiving a proportion of revenues from InstantDEX and SuperNET, as well as through inflationary ‘rewards’ (5% each: the 5:5:5 scheme). Now, the MMBTCD asset (a market-making and mutual fund built on Nxt, that pays out in superBTCD) is paying 10% of weekly revenues directly to stakers. Each week, a call integrated into the core of BTCD creates a list of all recent stakers, then pays them a proportion of the total dividend, depending on how many blocks they staked. Unlike paying stakers in proportion to their stakeweight, this rewards clients who stake 24/7, maintaining the strength of the network. BTCD is the first gen1 currency to include such a feature. ‘Anyone who wants to use btcd for a revenue generating service might consider paying dividends to stakers. They keep the network going, and the value of the BTCD (and therefore the service itself) will rise. A case in point is InstantDEX’, writes Btcddev. Btcddev continues, ‘The getstakers command outputs number of blocks staked, not how much you staked. So if you stake constantly and find 10 blocks in a week, you will receive 10x the payment than if you turned it on for an hour and staked 1 block, even though you staked the same number of BTCD’. Two dividends have already been paid out from MMBTCD, with more on the way weekly. For upcoming dividends, as well as the 10% revenues from MMBTCD, James is donating 100 BTCD (this week only), mivond is donating 10% of revenues from bitcoindarkdice.net. The Fibre project has released the first game in its series, Fibre SkillShot created with Unity3d technology. Integration of digital currency payments and incentivized tournaments are already in development. Fibre will also be partnering with another game project. More details coming soon. FibreLock v2 is a new way to secure your wallet guarding against Key Loggers, Mouse loggers and brute force password attacks. It works by combining multiple methods for the wallets passphrase making it near impossible to predict while rendering most malware useless. FibreLock v2 like its previous version will also be integrated into the Bitcoin C wallet as a proof of concept. FibreTeam has started working on FibreOS 2.0 and hopes to release it soon. FibreOS 2.0 will utilize a custom, optimized and hardened Ubuntu environment together with full TOR support. Serving as cold storage will include all Core Coins wallets, SuperNET wallet and InstantDEX – SuperNET’s Decentralized Exchange. FibreOS 2.0 will be delivered with a device which you can take anywhere you go, plug in needed components, stake your coins on it and install anything you need additionally. Hard fork passed at block 445,000. Connections from peers older than version 1.5 are no longer accepted. Nxt enjoyed a solid presence at the conference. Bas Wisselink (Nxt Foundation) writes, ‘Nxt was one of two booths for crypto, the other being GetCredits. We got some pretty high level attention, for which we are now going to do follow ups. We’ve talked to a lot of people from both the banking and payment industries. They don’t actually hate Bitcoin or crypto, but Bitcoin is definitely not being considered as much as you’d expect’. ‘Uses that people are looking for are primarily secure and auditable ledgers and tokenisation. For the “developed” world, the currency angle doesn’t really strike a chord, but for the “developing” world, the currency side is potentially HUGE. We got a few people wanting to work on that. One of the lessons here is to look for solutions that actually solve a problem for a large demographic’. SuperNET sponsored Drachmae – an innovative solution to monetise Greece’s valuable but illiquid state assets and create a secondary currency – at the payment industry conference. TipTap is a tipping application. The service is completely free of charge. Forever’. ‘Unlike other tipping services, TipTap uses the Nxt blockchain to facilitate the tipping micro-transactions, thus it doesn’t rely on any centralized ledger. Currently TipTap is compatible with Reddit, Slack and Twitter; 3 of the largest and most used platforms today’. To get this moving, an official Tipping Fund of more than $2200 (200.000 NXT) is paying weekly prizes to tippers who join @ http://www.wetiptap.com and use the service to spread NXT. A new gambling game on the Nxt blockchain has taken SuperNET slackers with storm. Coinimal writes, ‘We have established the world’s first NXT ATM’. ‘The ATM is placed in the ‘Gretel’ café in Vienna’s most popular shopping street, Mariahilfer Strasse. The purchase process takes only a few seconds and after insertion of the desired cash amount into the machine, it automatically sends the equivalent in Bitcoin or NXT to the desired address. The beauty of this ATM is, that we were able to jointly expand the General bytes software so that this machine has the opportunity to issue NXT’. Coinstructors and UBS Bank are hosting the London Hackco.in. The aim of HackCoin is to catalyse investment into the digital currency startup community during the Hackathon Day and beyond (prizes are focused on helping to fund ideas). The subject in London is Smart Bonds and Digital Identity, and the hackers are going to be working with NXT API. ‘This galactic event will be held on June the 20th in Level 39, Europe’s largest FinTech hub. UP TO twenty of world’s best hackers and developers will gear up and craft their socks off on universe’s most creative Blockchain 2.0 FinTech ideas’, writes crypto scout. Check out all the updates that were made to our roadmap! danosphere writes, ‘We’re working with vanbreuk to get SYS into the MGW + Android SuperNET wallets as soon as possible. There are some code updates happening to MGW which James is working on so we’ll be added once that refactoring is completed. Shouldn’t be too long, James is always working. All requests to the Millionaire club are being processed and we will be in touch with you shortly! VeriCoin Developer Doug Pike and Veryveriviral on Crypto Talk Live about VRC’s Proof-of-Stake-Time protocol, their current RoadMap and alluding to some upcoming tech features. Bet 50 VpnCoin – Win 200000 VpnCoin. BitNet Lottery is the first P2P blockchain Lottery, an open source Fair Lottery. James writes, ‘When i finish with the urgently needed code for SuperNET in general, I will spend time to get VPNcoin properly integrated into SuperNET. ]I think the decentralized load balancers could become a pathway for the windows VPN services provided by VPNcoin’. SuperNET is platinum sponsor for the Drachmae project. ‘Everything started to be built on the 5th of May and was presented and demo working on the 20th of May. With all the media that is looming around it I need to close it in Greece with government or private association. We already have one assocation interested in taking drachmaeconnect as a business barter network.’ The project has potentially huge significance. ‘It’s not just about Greece. Greece is the test dummy of what will happen to Italy, Spain, Portugal… I am arguing with the EU Commission over drachmae as they don’t like the idea – this could be a solution. BTCOR Group Investment supports SuperNET in alignment with a profit-for-change paradigm, and it’s the first NXT asset to utilize Nxt’s revolutionary Monetary System technology and Asset Exchange to generate dividends on stored wealth. BTCOR and its SERIES VENTURE wealth storage facilities allow for holding/storing value in the form of ASSETS, GOLD, SILVER, BITCOIN and the US DOLLAR. BTCOR is the parent asset and is the simplest choice for investment. Funds received through sales of the BTCOR asset will be used to appreciate value for shareholders by investing primarily in SuperNET’s technology, core coins, and assets and by seizing any other opportunities the Executive Board may deem advantageous. Any dividends received by assets held in the BTCOR Treasury will be redistributed proportionately to BTCOR shareholders on a monthly basis. Last week BTCOR announced the members of its diversely talented and respected team https://www.btcor.co/btcor-team/ alongside its business plan https://www.btcor.co/btcor-group-investment/, which details the asset’s complex structure and core principles. You can join SuperNET Slack channel #btcor for more information. If you want to mine SuperNET Core coins, this is a place to go. AltNuts V2 charges 0% Fees. Coins that are accepted into the SuperNET, also known as ‘Core Coins’ represent some of the most promising innovations in blockchain technology available today. The SuperNET Multipool, brought to you by AltNuts – has been created as a way to mine currencies from within the SuperNET that aren’t traditionally minable. You can connect directly to the multipool with your ASIC or GPU miner and be paid in the SuperNET coin of your choice. Nxt is currently the frontrunning 2.0 cryptocurrency platform, meaning that it enables far more than simple cryptocurrency transactions. Nxt offers a wide variety of powerful blockchain-based features, both in the core and as 3rd party services. Nxt is where James, the inventor and lead developer of SuperNET, started his journey into the crypto world. Nxt core functionality includes Arbitrary Messaging (uploading encrypted data to the blockchain); a decentralised Marketplace (think eBay for digital goods, without the fees and servers); the Asset Exchange (based upon what Bitcoiners refer to as ‘coloured coins’, with the ability to issue assets representing for example shares in a company, paying dividends to asset holders, etc); a decentralized DNS-system; crowdfunding – in fact a whole new Monetary System, for issuing new customizable decentralized currencies on top of the secured Nxt blockchain – and soon a p2p voting system and multisig transactions (allowing, for example, math-based escrows and Nxt / asset / Monetary System-coin holders to vote on whether to veto or recognize a transaction), and more. Nxt is a platform, meaning it was designed to be built upon. James was one of the first people to see this, and his brainchild SuperNET has emerged from (and combines) many projects started on top of the Nxt blockchain. It was natural for him to base SuperNET on Nxt, and so the 1.0 coins in SuperNET all gain their 2.0 features from Nxt. BitcoinDark (BTCD) started as a side project for James as programmer. As time went on, it developed into a whole new technology. Rather than being a simple coin, BTCD is now a whole anonymity ecosystem. ‘Teleport’ functionality makes it extremely difficult to trace transactions on the blockchain, and ‘Telepathy’ makes it nearly impossible to track them off the blockchain. BTCD provides SuperNET with the anonymity required for secure private transactions. If Nxt is the 2.0 engine that gives users all the functionality they need, BTCD is the highway that connects all the different services available. It’s also the first coin to pay dividends to its holders. 5% of SuperNET revenue will go to stakers. Will provide secure decentralized cloud storage for SuperNET users. Current VeriCoin features include VeriBit – paying for anything with VeriCoin anywhere that Bitcoin is accepted; VeriSend – optional coin mixing for privacy; VeriSMS – a service that allows VeriCoin to be sent to/from nearly any cell phone in the world using SMS (text messaging). There will also be a special SuperNET feature – stay tuned for more information! OPAL has a number of features that fit with SuperNET’s goals. It implements Peter Todd’s stealth addresses so that users receive funds through the use of a public address; funds transferred to this address are not visible on the blockchain as they are sent to an alternative hidden address. Opal drive enables decentralised storage of encrypted files, built on top of Storj‘s API. The project is under development and has received the help of Shawn, one of Storj’s core developers. OPAL has also integrated colored coins and has encrypted messaging. BITS is a core ‘component’ of superNET. Its purpose within SuperNET is to make available a network of ATM units to enable buying and selling of SuperNET currencies – as well as other cryptocurrency-related services than can be offered to ATM users. The Chinese-developed VPN coin is closely connected to BitNET. VPN coin will be the native currency of this network. BitNET is a cross-currency network that includes VPN capability, support for voice and video chat, file transfer, p2p domain and website creation, tipping and more. FibreOS is an anonymous optimized and hardened Ubuntu operating system. The OS and Fibre Wallet data files can be stored on SD or USB, and leaves no trace on the host PC when unplugged. FibreConnect is FIBRE’s encrypted messaging system. FibreLock is a security feature that fights keyloggers by removing the keyboard from the password entry process. FibreDark Wallet allows you to automatically connect to the Internet using the TOR Network, which will make your IP address and location hidden. FibreDark does not rely on TOR exit nodes, but has hard coded onion addresses that point to new FibreDark nodes. ZeroTrust is a trustless decentralized mixing technology, which makes your transactions 100% anonymous (according to the FIBRE Team). SuperNET is financially attached to BBR. The Boolberry tech is not implemented into the core yet. Boolberry is a cryptocurrency based on CryptoNote technology. It uses ring signatures to provide anonymity for its users. Ring signatures are effective because any one of a number of accounts could have signed a transaction, raising doubts about where the funds originated. Boolberry (BBR) avoids the blockchain bloat problems of other CryptoNote-based coins with an innovative form of blockchain pruning, reducing the blockchain by some 55%. Although BTCD’s Teleport offers strong anonymity for SuperNET, this will be complemented by BBR; Boolberry transactions will provide on- and off-ramps for funds to move from the regular blockchain into BTCD’s anonymous ‘hyperspace’. If we get a java dev, it can be taken over. I can offer 1% of chancecoin to the new dev that is taking over. chanc3r said the tech was good. Chancecoin was developed for the purpose of betting on dice rolls and other games in a decentralized casino. Casino gaming has a great userbase and decentralized gaming may soon become a core market for crypto. Randomness is provided by published NY Lottery Quick Draw numbers, and owners of the coin are automatically invested in the house bankroll. Chancecoin’s protocol is built on top of the Bitcoin blockchain; the coins were created by burning Bitcoins during an initial proof-of-burn period. Only coins that bring one or more unique features to the network will be added to the core, though any other cryptocurrency can benefit from these features on a third-party basis. (For example, Litecoin would not be eligible for addition to SuperNET. However, it would still have access to Teleport, InstantDEX and other services). In other words, any 1.0 crypto coin can enhance their wallet with SuperNET. This will give them access to trading on SuperNET’s distributed exchange, all of its fully decentralized services and features, from the coins described in this article, other SuperNET CORE features as well as more 3rd party features developed for SuperNET. It’s that time again, and once more there have been lots of developments since our last newsletter. A new promising coin has joined the SuperNET core, a SkyNET dividend has been announced, and we’ll walk you through the current holdings of SuperNET as well as this week’s development. Hang on. This brings the list of CORE SuperNET coins to six: NXT, BTCD, BBR, VRC, CHA and now OPAL. BITS is also a core partner. The easiest way to update to 1.3.4.3 is to download the .zip file from the link above or the Multigateway site and unzip it to its own directory. All of your information should be stored on the blockchain, so you will just need your passphrase to access the wallet. To speed up getting started, you may want to copy the “old” database folder (nxt_db) to the new installation. This avoids having to download the blockchain again. Codename: SkyNET (asset ID 6854596569382794790). The sale is over, but the asset will soon be dividended out to SuperNET holders. ### What SuperNET would be complete without a SkyNET? The buywall has been reinstated. James confirms: ‘I put up a 1 million NXT buywall at 160 NXT on NXT AE and by Monday on BTer there should be the same 1 million NXT buywall at 160 NXT. ‘It is probably a bit above the strict asset NAV, but with 168 now in slack, the value of so many in the realtime SuperNET community is giving me very good feeling for the future. Half a dozen new channels spontaneously formed this week. So the decentralized power is coming into play as I didn’t even know about them until I looked at the list of channels. The current market price for UNITY is around 200 NXT. There has been some (understandable) confusion about the many and varied assets that SuperNET holds, as well as the structure of these assets and SuperNET in general. A quick summary of the coins, first: ‘Off the top of my head, there is approx 10% of: BTCD, VRC, OPAL, BBR, BITS, 5%+ of CHA and NXT,’ writes James. ‘The idea is that the specific gaming (or other type) asset, in this case neoDICE, will be the item that directly reflects the performance of the neoDICE. And all the gaming assets are routing dividends or revenue share via Privatebet (it owns 35% of neoDICE and has 20% revshare deals with Pangea and Omnigames). Privatebet will also directly have its own decentralized sportsbook next year. So, Privatebet will have meaningful fractions of half a dozen+ other gaming assets, with a percentage of 20% to 25%, this should add up to more than the average of any specific asset, though the diversification protects from any large change (up or down) and it is meant to reflect the aggregate decentralized gaming sector. ‘NXTprivacy will also have direct fees from Teleport, so it has a book value in excess of (40% of 7 + 60% of 40) = 26.8 NXT per asset. Since it is trading at 28/34, if you are able to buy at 28, that is like paying 4 NXT for Teleport revenue stream. ‘The NXTprivacy dividends would flow into SuperNET and from there to its holders, coin communities, etc. ‘I know it is a bit complicated, but due to compartmentalization requirements and also some legal insulation, it was deemed to be the safest path. For example, some people are concerned about some legal issues with owning “gambling” based assets as some primitive countries make that illegal. However, if you own something that owns something that owns something that owns something that does a decentralized dice game and each entity is having a specific purpose other than adding “distance”, I think it is helping on the legal side. ‘A portion of SNN is allocated to the writers and MyNXT only has 100,000 total assets, so it is looking much smaller than the others but if you look at the percentage owned it is at a healthy 17%. SuperNET/UNITY is thus a very diversified single asset that is the sum of all its parts. Keep in mind that these are mostly independent projects and different ones will come online at different times, so there won’t be a switch that just starts a flood of dividends. It will start with a small trickle and as the dozens of dividend sources all combine and grow, the SuperNET dividend will eventually become quite substantial. Funds in SuperHODL are pre-authorised for spending. James is not authorised to touch other funds, except for those in transit. To improve security, most of the cash NXT is in one account, and assets in a separate one. ### There are 75000 each of omnigames, Jay and SNN in the pipeline, so just a bit less than 1 asset per 11 UNITY assets. With an average market price of 30 NXT for these, 100 UNITY would get 11 * 30 * 3 = 990 NXT worth of dividends. Timeframe is totally unpredictable, but with the market price of about 180 NXT this is 1/18’th > 5% return just from the dividends. Keep in mind that 90%+ of UNITY value is backed by the BTC, NXT and other crypto it holds and it uses this to put up buywalls to allow for liquidity. Currently there is 2 million NXT worth of buywalls at 160 NXT, one in NXT AE and one in BTER. I target a risk profile of 20% on the downside and X% on the upside. If you hold onto the asset dividends and they grow, then the yields are better of course. I didn’t charge anything for the revenue side of SuperNET as it was sold at NAV, e.g. liquidation value and this is why it has held its value throughout the bear market. James got nominated for the Proof of Honour award mentioned in the last newsletter. * All orders submitted through the SuperNET Plugin are eligible for this deal. * The Profit Share can be distributed freely but SuperNET is not allowed to issue an asset that includes the name “Coinimal” in the asset title. * The Profit Share will be paid monthly. * The Payment will be made in Bitcoin. You can read more about Coinimal in this ANN. We will be selling 350,000 shares at 2 Nxt each to raise 700,000 Nxt. Out of this 7500 USD worth nxt will be flown into completion of development efforts that have been going on. The rest of the budget will be used for servers, marketing and maintenance. Post the revamps (which will finish by Jan 15th) , our sole focus would be on user acquisition and scale. While we’ve actively looked into various crypto’s as a means of advertisement/partnership, if nothing fruitful occurs by the stipulated date for launch of v2.0 we’ll be going with other advertisers (glispa.com integration for eg) and attaining scale. Jan 15 – April 15 will be solely used for scale of the project and occasional integration of SuperNET into our operation. The goal is to sign up 1 million users, all of whom will be introduced to NXT as a core element of the platform. The current userbase is around 75,000, and there are substantial opportunities to access new markets where there is established interest already. We’ve been discussing a few more sensitive things privately the last couple of days. I’m going to set up a Pangea section on NXTforums with two things I need input on for now: A couple of set avatars to pick from; and discussion of how to get a steady flow of players. I’ve got a few ideas. Most importantly I am on the marketing side of things, so my real goal is a solid strategy to get fiat players to Pangea! I’m going to fill this section with subjects of discussions so we can get many different ideas/brainstorming going and end up with the best of them. Ask in Slack or on the NXT forum for more details if you’d like to chip in. Last week a future asset dividend called ‘Jay’ was announced. Here’s a little more information. Plugins are compressed and saved into chains of AMs through NXT, until they are loaded into the client and run. The entire client itself is built up of different plugins, so different websites can set up configurations of plugins to best use the main plugin that the website would promote. So, a website like MGW would have a jay node at multigateway.com/jay, for instance. Then they would configure the default setup to have the MGW plugin along with a few of their favorite plugins to point users to in order to easily use the features on the internet with security and without additional downloads. All nodes on the nodelist (NXT) are public nodes with cors enabled and hallmarked (around 20 good ones). Each API request is sent to three randomly-selected servers in parallel. If the three servers are in complete agreement on the data, then it is deemed usable. If there is any discrepancy, another round is called, and two more randomly selected servers go into the mix. With now 5 servers polled, if the second round are in agreement and side with any of the first round’s data, that data is selected. So basically, at any given request, the best case scenario being n where n is equal to the node with the slowest response, the less likely edge case gives us 2n and the very rare ‘under attack’ case gives us 3n. ‘Basically it is a decentralized exchange run by everyone who wants to participate (as a miner) in the ATOMIC network. Imagine bittrex or cryptsy without the need of a website – pure and straight cross-blockchain trading of coins/assets, that is ATOMIC. A ledger that ANY crypto-currency can use in order to record transactions and exchanges. James writes: ‘I am still in MGW. I almost finished porting the MGW into SuperNET. Now anybody can process deposits, so theoretically, there could be 100 people who all deal with 1% of the deposits. Also I figured out how not to need any AM messages to correlate the tx, at least I think I did, still need to debug the withdraw side to make sure. Once you are set up, it takes just a few minutes to get current status. ‘MGW is being used by SuperNET before, now all the nodes will have MGW code built into them. This raises the security of MGW by raising the 2-of-3 consensus requirement, subject to phasing limitations on the deposit side. ‘A similar thing could be done on the withdraw side, but the problem becomes the requirement of having multiple triplets and load balancing (i.e. unspent deposits matching withdraw amounts). Welcome to another edition of the SuperNET newsletter! Lootz is currently building supernet.org. BTCD and SuperNET will feature on the Beyond Bitcoin podcast this Tuesday/Wednesday! The SuperNET cards (Nxt asset ID: 7110939398145553585) have been ordered! SuperNET cards will be a way to bridge crypto into fiat. These cards are normal MasterCards and will have a $1,000 per day limit. At the moment these are ‘half anon’ cards: A photo ID card is required for but no banking information. half anon means that there is no requirement to link a bank acct/personal financial number to the card. however to get the bigger limits, the requirement for ID scan and utility bill could not be removed. I expect a secondary market to form for these halfanon cards once issued. They have no risk to the one that signed up for it as it can be kept empty. We continue to work toward full anon, but need to find a reliable vendor with acceptable limits and while we have candidates, the process is very slow. also, I think there is a good chance that there will be some independent vendors who can help, but this is all still being developed. We will keep you informed and let you know when these ‘half anon’ cards are ready to ship. James’ funding request has been APPROVED. We hereby welcome CHA as the newest SuperNET CORE coin. ### whale has negotiated 25000 CHA for 11.25 BTC, there are only 516,530 CHA total from its burn period. VRC will be implementing the GUI and billing for the decentralised cloud storage enabled by the Telepathy network. The VRC devs will also be providing the ‘public face’ of SuperNET (since James has known to be a little cautious about that sort of thing). VRC’s Patrick, Doug and David are well known as some of the first crypto devs to reveal their identities publicly. In the future there will likely be many interviews, live events and other media where SuperNET will need a real-life representative. James has also committed to developing new technological features with VRC in a previous deal, arranged before SuperNET was announced. These will offer new functionality to SuperNET when they are implemented, so inclusion at this point makes sense in any case. Read more here. BTCD is engaging a professional marketing company to help communicate the coin’s unique features and use-cases. SuperNET will inevitably benefit from this since it is one of the major ways in which users will be able to access different services with BTCD. ### SNRN will provide each SuperNET coin and entity (Affiliates) with a Website, uniquely “Branded” to them individually. All sites will have radio broadcasting enabled, access to “On Demand” archived SNRN programming, an “Anon Unity Chat” IRC window, and Crowd Funding capability. By reducing the budgetary pressures of building and maintaining an array of promotional tools members can concentrate on creating content and actively promoting. SNRN basically provides all the tools needed to “Get the Word Out” by jump starting the promotion process. Any other services such as Forums can be implemented upon request. Affilate productions will be scheduled into the 24/7 stream of “Flagship” Station supernetradio.com producing, for SuperNet/UNITY, the consistency of around the clock exposue while alleviating affilates from having to produce the volume of content to be effective in promotional ventures. Particulars, Fee Schedules, Revenue Streams and Dividend Sharing details will be provided on http://supernetradio.net. Direct inquires can be sent to supernetradionetwork@gmail.com. For the time being, Kevondo will be doing a live broadcast at 10 AM EST Monday to Friday, and past shows, interviews, and music will be streaming 24/7. As the software gets more and more complete and it becomes clear to even the skeptics that it is just a matter of time before SuperNET is completed and working, the price will more fully reflect the value. Since I am doing something that hasn’t been done before, it is hard to accurately estimate time to completion, especially as I continue to improve things daily. Remember that anybody can make any sort of crazy claim against me. I don’t have time to spend refuting all the silly FUD. For a while I was supposed to be some sort of pump and dumper, but it is hard to make any claim like that stick when I am not pumping nor am I dumping. I just keep coding and know that it is just a matter of time before the market catches up to what I am building. And now other coders are building on top of what I am building. GUI are being created. Websites and even new assets are being created and managed, etc. For all the claims that I am dumping SuperNET, I can state affirmatively that I am only buying and have not sold any SuperNET/TOKEN. This reminds me of when I was buying BTCD at .00015 to .001, seems almost like I have an unfair advantage as I know the dev will deliver, while everybody else has some doubts… Considering the bear market everything has been in, including BTC, UNITY price is holding up pretty well. Many of you will have noticed certain similarities between SuperNET and a new organisation called BlockNET. Whilst the latter is a constantly-evolving undertaking, it seems that there are several key differences. We would encourage you to visit the thread, ask questions and find out more for yourself about the relative approaches, if you are considering investing in one or both ventures. There has been much misunderstanding about both BlockNET and SuperNET and greater clarity will benefit everyone. A key difference is the business approach. BlockNET is collecting money through their ITO to pay developers for their new software, whereas the SuperNET ICO funds are being held to provide stable value, reflected in the NAV (the value of SuperNET should not fall below the value of the currencies held). James is doing all the coding in return for an equity stake in SuperNET, and is also adding a large number of revenue-generating assets of his own (these total far more than the value of his own shares). SuperNET ICO funds will also be used to purchase shares in coins and revenue-generating services. SuperNET is also entering into revenue-share agreements, without taking an equity stake in these. BlockNET will make money from the services it offers but the ITO money will not be used to purchase a stake in promising companies. SuperNET will also be returning income to coin communities, to stakers and for further tech development. The philosophy of SuperNET is to align interests between SuperNET holders, coin communities and devs, and the companies that provide services. The money flow provides shared incentives for success, strengthening all of them and working for their mutual benefit. This business model was a conscious decision taken by James and offers a strong platform for future expansion. Telepathy is so secure that no one, including the sender, needs to know the recipient’s IP address. This offers a fundamental advance in privacy. Telepathy uses ‘dead drop’ addresses that belong to no one. Messages are routed to these, and are handled by dozens of different nodes – but delivered to none of them. There has been some misinformation spread about Teleport recently. 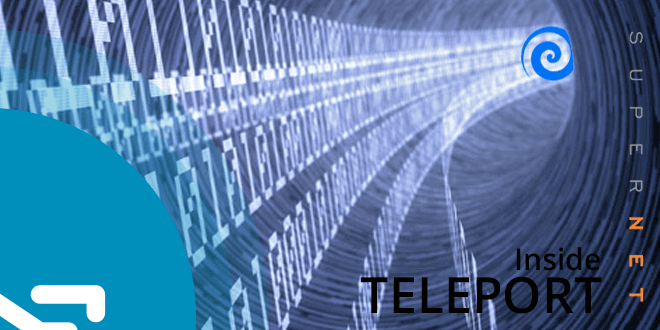 To clarify, Teleport offers a completely trustless and decentralised off-blockchain exchange mechanism that is truly anonymous and private. A white paper for Telepathy is available in draft form and will be published for review in due course. DHT is the technology that enables Telepathy. A Distributed Hash Table (DHT) is a kind of super-efficient look-up table that allows any node in the network to find the information it needs to route a packet to another node quickly. The Kademlia DHT offers a couple of very interesting properties. Aside from being very efficient, it guarantees a packet will reach its destination due to the way it routes them (the ‘XOR’ metric). Additionally, like other DHTs, the ‘map’ that shows where each node lies in network space is completely abstracted from the physical location of those nodes and their IP addresses. This is a little like the London Underground tube map: The map of stations bears little resemblance to the above-ground geography. It is simply a convenience to allow passengers to work out which line to use quickly and easily. So each node in the P2P network simply forwards a packet to nodes closer to the destination than itself – until the distance is zero, which means the packet has arrived. In the case of Telepathy, since nodes are trying to deliver a packet to a dead drop address owned by no one, this will never happen. This does not matter though, since so long as the intended recipient gets to handle the packet, they will be able to decrypt and read the contents. Close to the dead drop address, many other nodes are also being sent the packet – creating great uncertainty about which node it was meant for. An attacker cannot find out the IP address of the intended recipient, let alone read the content of the packet. Unlike some detractors have claimed, this network is completely decentralised and peer-to-peer – like BitTorrent. IP addresses for nodes are known to others, of course (otherwise any routing would be impossible), but there is no correlation between a destination address and a node’s IP address. Users have a public account and a private one for secure communication – these private accounts are completely unlinked to your IP address. A new feature will be group ‘mining’ of dead drop addresses which are close to many nodes, to create maximum uncertainty in the eyes of the attacker about who the packet was meant for. Since these addresses are best found by brute-force calculation, the process is actually very like Proof-of-Work mining. Once a good location has been found, it can be shared amongst many nodes that are close to each other. Rewards may be paid for this useful mining activity. Of course, no node using these shared addresses will be able to read the contents of a packet unless it has been encrypted specifically for them. Welcome to the SuperNET newsletter! The past week has seen some exciting developments on the tech front, including Telepathy: James’ system for communicating so securely that even the sender doesn’t need to know who the recipient is! Since it has been a relatively quiet week in terms of new companies joining SuperNET, we want to take the opportunity to explain a bit more about the components and initiatives that make up SuperNET, knowing that many investors are still uncertain about various aspects of these. But first… a few announcements. Chancecoin betting is planned to be integrated into the SuperNET GUI. whale has negotiated 25,000 CHA for 11.25 BTC, there are only 516,530 CHA total from its burn period. Chancecoin is built around feedless, trustless betting, using New York Lottery Quick Draw numbers to resolve bets. Quick Draw numbers are drawn every four minutes, every day of the week. The drawing selects 20 numbers randomly from a pool of numbers 1 through 80, without replacement. A bet seen in the blockchain is resolved based on the first set of Lottery Quick Draw numbers that are published strictly after the block is mined, so it is not possible to game the system by waiting for favorable lottery numbers. Chancecoin is a coin and a casino. The casino features classic dice betting and poker. Adding CHA to uMGW (Multigateway) is being looked into. Half of the SuperTrader funds will be transferred from BTer to Bittrex. Prices have recently dropped significantly across most of the altcoin market and this is impacting the stability of the core coins for SuperNET. The plan is to stabilize the prices with market actions and to provide inventory during supply demand imbalances. Over time, the gap between the buying and selling will also provide some gains. I work to increase the value. So there is no active pump campaign as that is counter to my philosophy. When the market realizes SuperNET tech is going to work and revenues will start flowing, then the price will catch up to the value. The funding request announced in the last newsletter is approved. VRC has committed to making a cloud storage GUI for SuperNET that allows users, companies and other coins to rent out HDD space to the cloud. James wants to provide a 50/25/25 revenue share from the cloud storage split between the user/VRC/SuperNET, so SuperNET users can monetise their unused HDD, VRC will create a revenue stream for their holders and SuperNET will gain a new revenue stream and increase its overall userbase. 5389.16 SuperNET assets from working capital has been swapped for 538,916 VRC, and 100 BTC is released for open market purchases to get close to the target level of 10% stake in VRC. ‘NxtInside’ is a Nxt initiative that aims to make the platform’s 2.0 capabilities available to other cryptocurrencies. The name was originally suggested by jl777 to reflect the development and integration of Nxt core components into BitcoinDark (BTCD), as a first example, and hopefully other coins as time goes on. SuperNET – which uses many of Nxt’s key functions, such as the Asset Exchange and services built on top of Nxt, will be the prime case for NxtInside. The approach is similar to the ‘Intel Inside’ campaign, in which other companies (including Apple) use Intel chips to power their devices, thereby extending Intel’s brand reach far beyond their own hardware. Casual end users will get lots of 2.0 crypto features but might not even notice that it is powered by NXT. Their public coin address will be linked to a NXT address “under the hood”, so they can login just by using a link in their coin’s client. This is fully in the spirit of what Nxt is designed to be. IMPORTANT NOTICE: There is no NxtInside asset offered on the Asset Exchange. Any assets named ‘NxtInside’ or similar that claim to fund or benefit from this initiative are false. BTCD and SuperNET are both members of the NxtInside programme (read more on how BTCD and SuperNET are linked below). longzai1988 is currently working on the SuperNET GUI, which will be based on the NXT GUI. QT clients will have an ‘Enter SuperNET’ button, which will open SuperNET in a browser and auto-login for the user. The GUI can be customized for each coin. Imagine a new country, spread out in front of you. Scattered around the landscape is everything you might want or need. Stores, selling anything you could ever hope to buy. Exchanges, financial services and trading posts. Casinos and other entertainment centres. News and information outlets. These are like the services offered by SuperNET. Incredibly, although the cryptocurrency world offers so many remarkable businesses, no one has thought to link them before. They are just a set of isolated organisations, operating in their own niches, or competing with each other. BTCD is like the highway that connects everything. The infrastructure it provides will enable communication between you and all of the different services, through what it shaping up to be one of the most secure comms links ever developed. It’s like a network of roads, tunnels and bridges that enables you to go anywhere and do anything – and do so in complete privacy. To complete the analogy, Nxt is the sophisticated engine that gets you around this network of roads and to the services you can find there. It’s a 2.0 car that’s designed to do far more than drive from A to B. NXT doesn’t just allow you to transact; it houses the Asset Exchange and many of the other services that will allow you to interact meaningfully with others on your way around in SuperNET – the whole Super Network of integrated coins and innovative services. So how might it look in practice? In the following example (thanks to Este Nuno and mackowski for this concept: https://forum.thesupernet.org/index.php?topic=40.msg133#msg133) you’ll need the BTCD wallet that longzai is working on to access SuperNET. The good news is: That’s it. Everything is held inside it. That’s the whole point of SuperNET – UNITY. You’ll click a tab in the BTCD client – it will open SuperNET. From there, you can send cash anonymously using Teleport (James’ BTCD anonymity protocol), or if you’re particularly concerned about privacy, you can pass it through a Boolberry exchange first, layering Teleport with BBR’s ring signature technology. Perhaps you’ll play neoDice for a while – it’s built into the client. You might check your portfolio of assets, which include SuperNET itself and see that you’ve been paid dividends, which include both NXT and some shares in a new company that has recently joined SuperNET. Maybe you want to exchange some NXT for BTC? You can do that instantly through the peer-to-peer exchange, InstantDEX. Or maybe you need some fiat to spend, so you cash some coins out to your SuperNET card – the anon card offered by Coinomat – in case you don’t have access to a BITS ATM, where you can just withdraw your coins as physical cash. You browse FreeMarket for a while to see whether anything interesting is for sale. Lastly, you send an encrypted message to a friend about a joint project you’re working on. All of this happens completely securely, because privacy is built into every transaction that takes place with BTCD. Or any other coin in SuperNET. More information about the partnership with Bitstar coin (BITS) has been requested. Although BITS are not a core SuperNET coin in the way that Nxt, BTCD and BBR are, they are a critical supporting member. The idea is to add SuperNET to the BITS wallet, and to the ATM they are sponsoring. This would allow users to access SuperNET coins from BITS ATM – effectively ‘teleporting’ cryptocurrency into fiat. Ether, who also created the SuperNET logo, is designing the main splash screens and brand identity for the ATMs. The SuperNET logo will be displayed in the ATM’s user interface. Ether’s growing number of SuperNET designs can be found and downloaded here: https://forum.thesupernet.org/index.php?topic=208.msg1415#msg1415. He is offering his time and expertise for free, so please do tip him if you like his work! James was going to submit core code to Kristov Atlas for a review (Atlas is a computer science security consultant who has worked on a number of cryptocurrency projects). However, this is delayed due to the new innovation (‘Telepathy’) that James is adding to SuperNET. ‘I just made a big breakthrough in anon level. No sense in having something reviewed that has already been improved! The problem I solved is the one of how to communicate to someone without ANYBODY knowing what their IP address is. I believe I have a deterministic and provable routing that isn’t broadcasting that achieves this. It was one of those nice to solve if I can figure it out, but not absolutely needed things, as there is already a lot of anon in the fixed sized, onion encrypted variable delay packets, but now being able to transact with someone just via a 64bit address that has nothing to do with the ipaddress. This I believe is quite a leap in anon level. Privacy is fundamental to BTCD and SuperNET. The whole ecosystem is built on a platform that allows the highest level of privacy – far, far beyond anything any other coin offers, and possibly any other system in the world. Telepathy is a very recent development James made when he was looking into ways of routing messages through a network. In a peer-to-peer network, such as SuperNET or BitTorrent, there is no central authority – this would make it vulnerable to attack (for example, Napster’s centralised look-up was its downfall). Obviously, such a vulnerability would be unacceptable for SuperNET. More recent networks use DHT, distributed hash tables, to achieve true decentralisation, along with scalability and resilience (tolerance to nodes joining and leaving the network). The properties of the particular DHT James was looking into, called Kademlia, offer a very interesting benefit: it is possible to send a message to an address that belongs to no one, but because of the way the network is structured, you can still guarantee it will reach the intended recipient. The amazing thing is that even the sender does not need to know the recipient’s IP address for this to be possible. And clearly, this poses serious problems for any attacker! Alice wants to send a message to Bob but does not want anyone else to know that he is the intended recipient. Instead of sending it to his house, she writes it on the side of a van and instructs the driver to drive to a random address that is in line-of-sight of Bob’s house – and 20 other houses. It doesn’t matter whether anyone owns the property at the destination, or even whether there is a property there. All that matters is that Alice knows Bob will see the van as it passes. In reality, the process is far more robust than this. The packets will be encrypted so that only the intended recipient will be able to read them. The ‘addresses’ used to deliver a packet cannot be linked to any IP address; the packet is introduced at a random location rather than from Alice’s ‘house’. The important point is that, even in the highly unlikely event of an attacker having enough information to determine the destination of a packet, it will be impossible to correlate it to the user’s IP address – because the apparent destination has no IP address! The real recipient is one of twenty or so others who pass the packet along the chain. Cryptocurrency is still a small slice of the economy and has gained limited real-world traction so far, but perhaps we should not be surprised at the innovation that is happening here: the crypto world contains a relative handful of people, but they are self-selected coding, security and economic specialists. Where these disciplines overlap, great things happen. SuperNET’s functionality will be available via a series of API calls: https://forum.thesupernet.org/index.php?topic=196.msg1349#msg1349. Ultimately these will be accessed through the GUI. For now, we need more people to test them using the SuperNET-enabled BitcoinDark client. This can be installed on a home computer or VPS. The more network nodes the better: Reliable testing requires at least 50 and ideally 100. The nodes needed to bootstrap the network will be funded by the staking income from the BTCD paid during the ICO. If you are able to, please install the client, start testing the API and add your thoughts and comments to the documentation: https://forum.thesupernet.org/index.php?topic=154.msg1387#msg1387. Remember: James has offered a 1,000 BTCD bounty if you can find a way to deanonymise telepods. Good luck! There will no doubt be more questions about the components of SuperNET and the roles they play. Please do ask them and we will do our best to answer. We would also encourage you to join the SuperNET forum for more information and updates. Teleport isn’t just the new anonymity technology that powers BitcoinDark. It’s jl777’s complete privacy ecosystem that also forms the backbone of SuperNET (asset ID 12071612744977229797 on Nxt Asset Exchange). So how does it all work? So-called anonymous coins come in many different forms, but they tend to rely on a limited range of different approaches towards achieving anonymity. One of the most common approaches is mixing, which essentially means combining a lot of different transactions so that it’s hard to know which output originates from which address. For example, Darkcoin uses an implementation of CoinJoin, a mixing protocol. Another approach is to use ring signatures, like Boolberry or Monero. Whereas most transactions are signed by one key, with a ring signature a number of different keys can sign the same transaction, so it becomes far harder to know who sent the transaction in question. Ring signatures arguably offer a greater degree of privacy but they come at the cost of considerable blockchain bloat – though Boolberry’s developer has found a neat way to sidestep this issue. Mixing offers what might be called ‘personal level’ privacy – good enough for many day-to-day circumstances. Ring signatures are a step up from that and can be very effective (hence BBR’s inclusion in the core of SuperNET). But even there, some correlations might be made by a determined attacker. Transaction linkage. With Bitcoin, every address can be linked to the one used before it, right back to the block from which it was mined. If you know the identity of the owner of one address or take an interest in the activity which a certain address displays, you can follow the transactions to and from it – and very likely eventually link that person with another known address. Teleport avoids this by using one-time addresses called telepods. If no address is used more than once, it’s impossible to link it to any other part of the network. In the original Bitcoin white paper, Satoshi Nakamoto recommends using new addresses for every transaction. Suffice to say that few people do so because it’s too much trouble. Teleport builds this into the system. Timing attack. Perhaps you know that a given transaction was supposed to happen at a certain time. Because everything is on the blockchain, any transaction within the relevant time frame falls under suspicion. This can be used in conjunction with other methods to narrow down the list of transactions to analyse. Teleport introduces random delays and allows recipients to decide when to move the money they have been sent in a telepod, so a change might only show up on the blockchain much later. Mantissa attack. If you send a distinctive amount of money – whether that’s a very large sum, or one with a characteristic mantissa (the numbers after the decimal point), then it’s extremely easy to spot on the blockchain and follow. A mantissa attack – a term coined in the Teleport DarkPaper – is particularly effective if you know someone is transferring a dollar equivalent of money, perhaps because they have posted the information in a forum or it has otherwise been intercepted. Knowing the exchange rate and the rough timing of the transfer allows a high degree of correlation with blockchain transactions that fit the right criteria. Teleport uses standard denomination telepods – units of 100, 50, 10, 5, 1 and so on – so that unusual amounts won’t raise any flags. Whilst taking care of the above vulnerabilities should be sufficient for everyday privacy requirements, you do of course also need to guard against voluntarily disclosing personal information; a huge amount of data relevant to cryptocurrency addresses and transactions can be and is harvested from forums and other sources in a method known as fingerprinting. As an aside, if you have your crypto address in your signature, you might want to think again – at least, if you take anonymity seriously. However, even having adopted good personal practice as regards securing your privacy online you could still be vulnerable to a well-resourced attacker correlating activity from your IP address to movements on the blockchain. IP address detection. For those wanting a really robust solution suitable for hi-tech business (think industrial espionage) or resistant to intrusive government surveillance (China, US, UK…) it’s necessary to hide the fact that you are the one conducting a transaction at all. This is where the privacyServer comes into play. It’s the piece de resistance of Teleport, and it’s what makes it a platform capable of supporting so much more than just a simple cryptocurrency transaction. Instead of submitting a transaction directly to the network, the privacyServer encrypts it multiple times and passes it through several other nodes (other privacyServers) first – a technique known as onion routing, used by other applications including the infamous TOR project. Not only that, but every transaction is also split into several pieces and sent to a number of different nodes, only some of which send it on to its final destination (and this is the simplified version!). The result is that even if an attacker knows that you are part of the network, and even if they compromise one or even many nodes, it becomes incredibly difficult to link the user with the transaction that ultimately follows, given that it’s bouncing around many intermediaries and being pulled to pieces and reconstituted at the end. As a broad analogy, imagine printing a paper wallet for your bitcoins, photocopying it several times, shredding the copies, then sending multiple nested packets of the paper fragments to lots of different people, some of whom forward the contents on to others, some of whom forward those contents to the final recipient, who piece the shreds back together… ‘Impossible’ isn’t a word that should be used in these circumstances, because a determined attacker with unlimited resources can always find ways to cause you trouble, but it’s about the closest thing to complete anonymity available in the foreseeable future. The result is an extremely robust system that uses both common sense and cutting-edge technology to prevent an outsider from learning what’s going on inside the BTCD ecosystem. Moreover, by using services such as InstantDEX and TradeBots (instant and automated trading applications), the advantages can be extended to any other supported cryptocurrency: BTCD will turn anything dark. There aren’t many downsides to Teleport. One is simply that setting up a fully effective privacyServer requires a certain degree of technical competence and possibly a small financial cost for a VPS, though you’ll still enjoy pretty good privacy without that. Another is that transactions are best made when both parties are online; because the recipient is (in a very simplified explanation) being sent a private key and using it to sweep the balance of one address into a new account, a long delay could give rise to double-spending on the part of the sender. This would never result in lost funds though, because the transaction would not be acknowledged as complete by the recipient. It would, at most, be an inconvenience. In other circumstances it could even be considered an advantage because the delay brings added protection against a timing attack, should the attacker even be able to correlate activity from the sender’s IP address with any blockchain activity in the first place. With continued revelations bringing to light the unprecedented levels of surveillance from the NSA and other government agencies, as well as the rise of big data and the aggressive, large-scale harvesting of personal information by corporations, it’s fair to say that both sides on this issue will be upping their game. The arms race for privacy is only just getting started. For now, it’s nice to be one step ahead of the competition. You can find out more about Teleport by reading the DarkPaper or visiting the BTCD thread on bitcointalk.